This way if you are gay. Swedish peace organization launches a subsurface defense system. In the search for foreign submarines, the Swedish military just had their biggest mobilization for decades. But, they found nothing. Voices are heard for more resources. It’s all hands on deck. Even for The Swedish Peace and Arbitration Society. 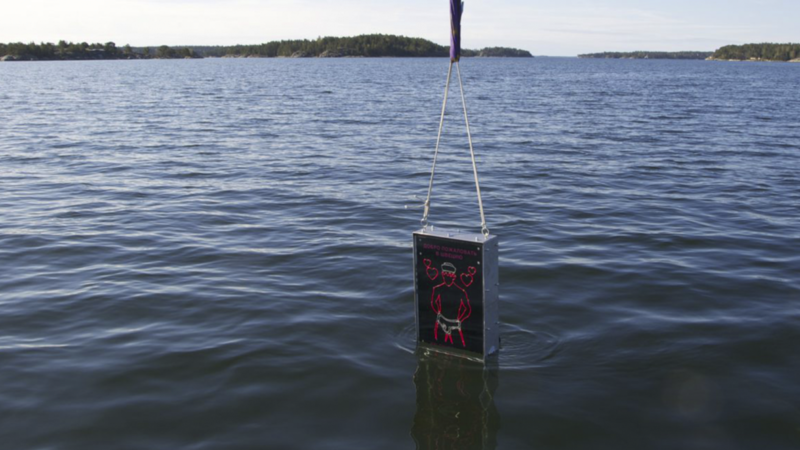 On the 27th of April, The Singing Sailor Underwater Defense System was installed into the sea in the archipelago due east of Stockholm. The Singing Sailor is a subsurface sonar system sending out the Morse code: "This way if you are gay". For any submarines passing close by, The Singing Sailor also features the message “Welcome to Sweden. Gay since 1944.” (the year Sweden legalized homosexuality) as an animated neon sign.